Receiving a thank you from you is a sheer delight. 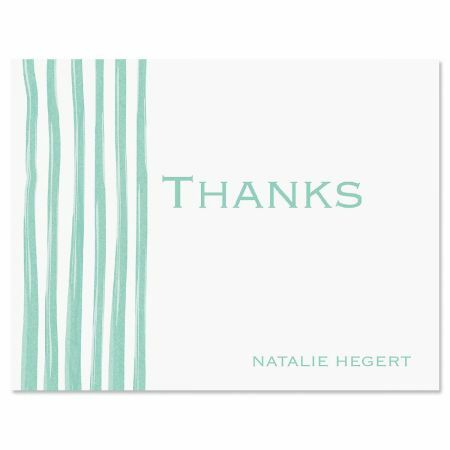 Your family, friends, and co-workers will appreciate your words of gratitude written in our wavy-design folded thank you note cards. 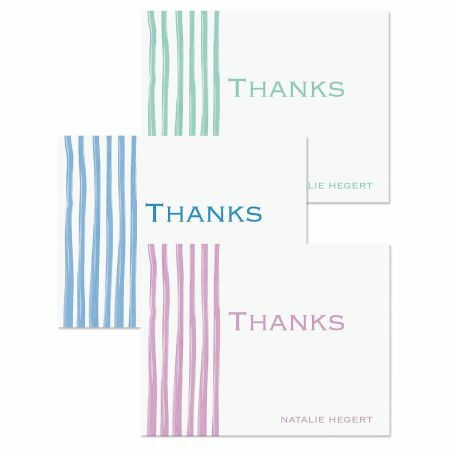 With your name or personalized message on the front, these blank-inside cards make it easy to express your thanks for the birthday gift, the meal, the babysitting, the hospitality, the listening ear. 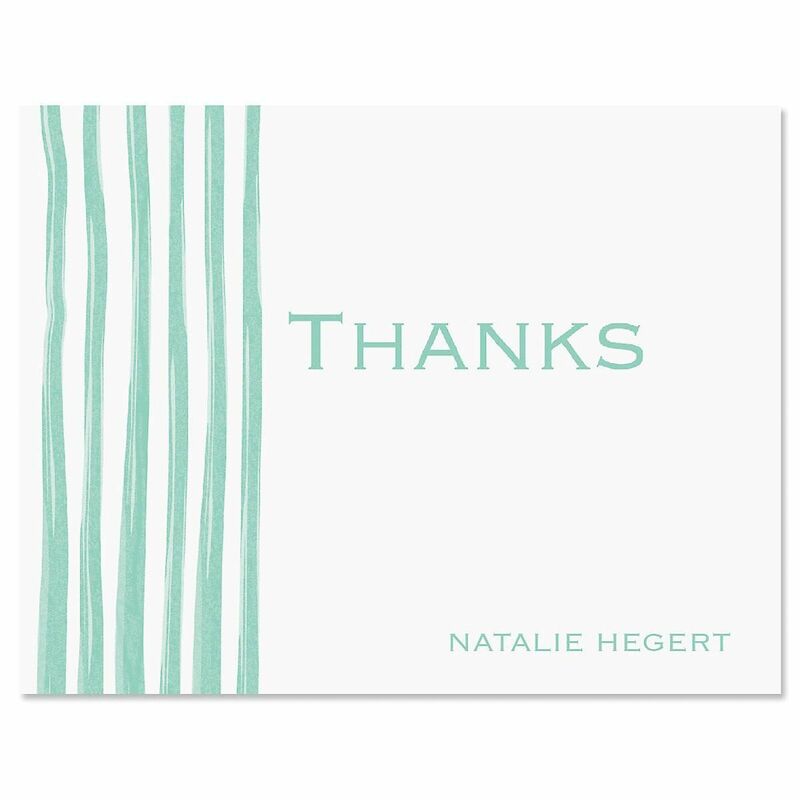 Our thank you note cards add extra panache without extra cost. 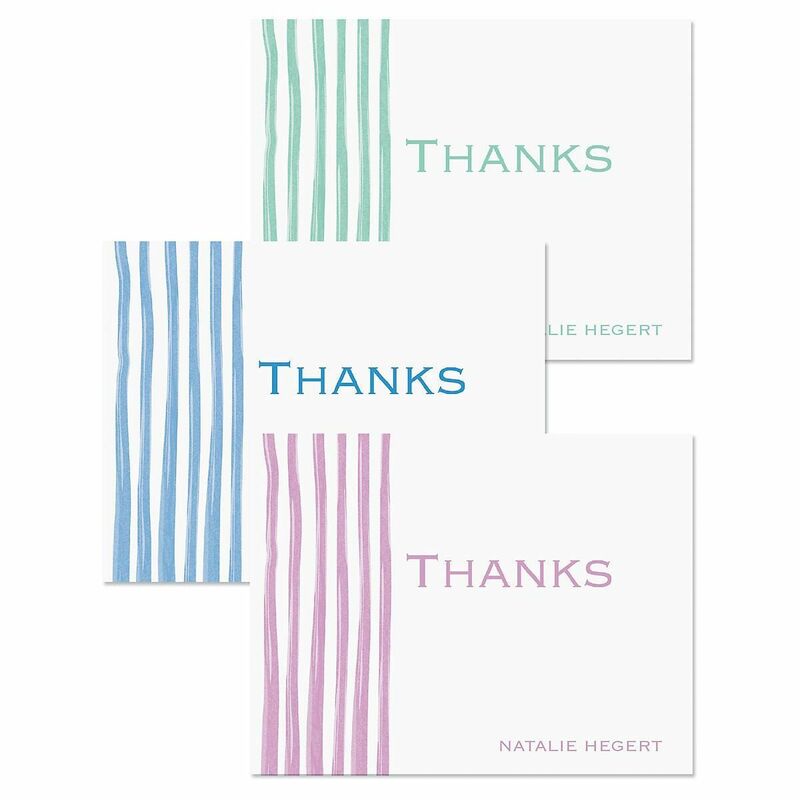 Each colorful folded card is 4 1/4" x 5 1/2" and comes with a white envelope. 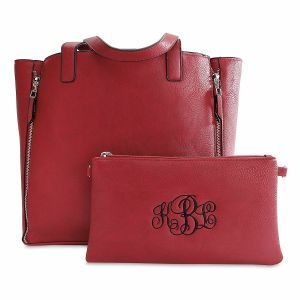 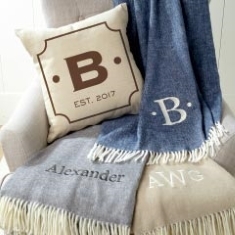 Personalized cards come in a gift package. 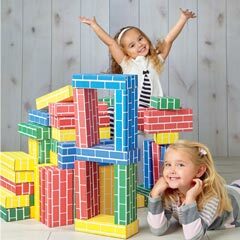 Set of 24 (single design).